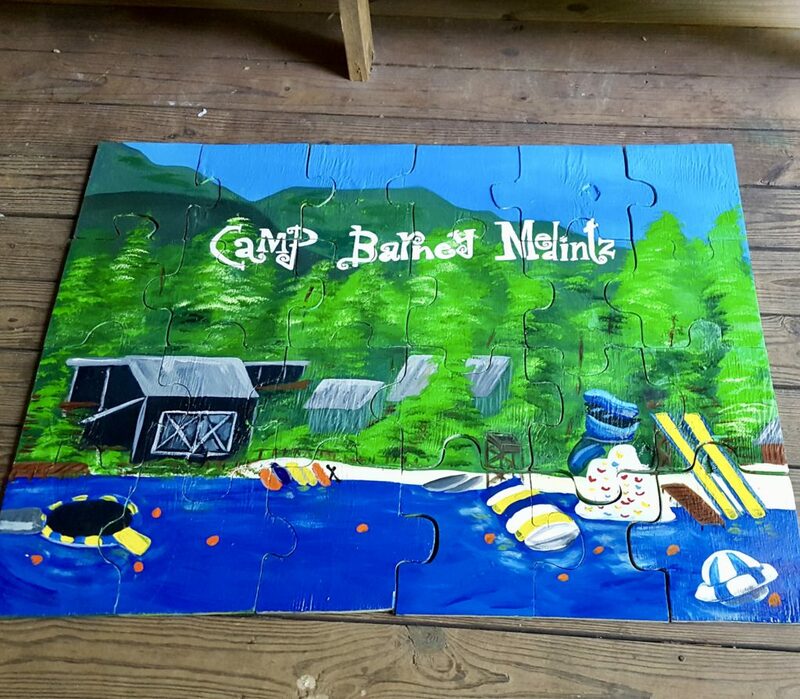 This summer I was a visiting artist at Camp Barney Medintz, where I spent many past summers as Director of the Arts and Crafts program. My main project was called The Future Celebration Committee! 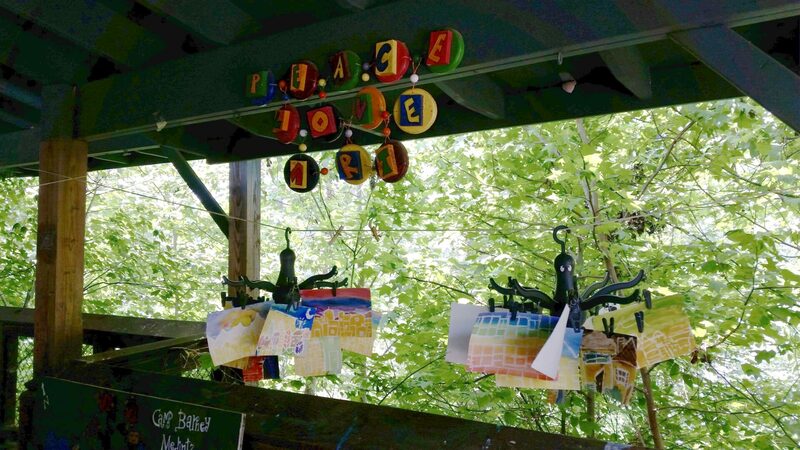 where we created fun, thoughtful cards to send a little bit of “Our Summer Place” to camp families during the holidays. 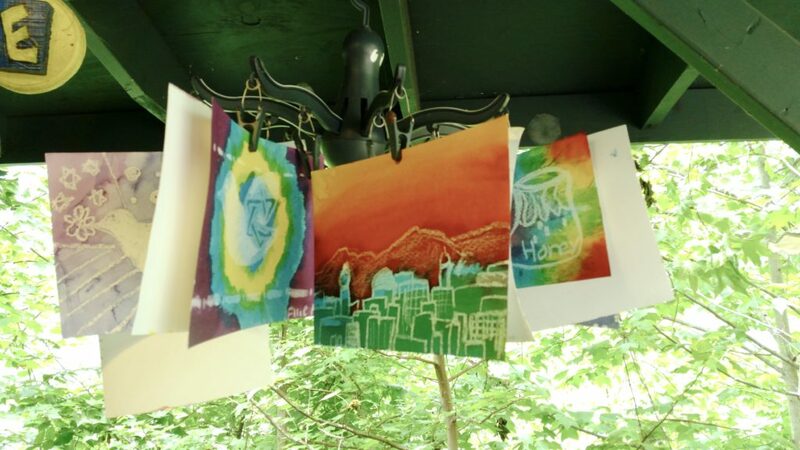 I worked with pre-teens for these classes and I have noticed in the past this is the age where they tend to say I can’t do it, I’m not artistic. To combat this mindset we used the wax resist technique. We used white oil pastel to draw on white paper while I gave guided drawing lessons. The drawings were only revealed after we painted over them with rainbow watercolors. Since the campers couldn’t really see what they were drawing, there was no room for doubt, criticism, and comparison. And the cards all turned out wonderfully! The bright colors with the white drawing mirror the tie dye shirts that are essentially the camp uniform. 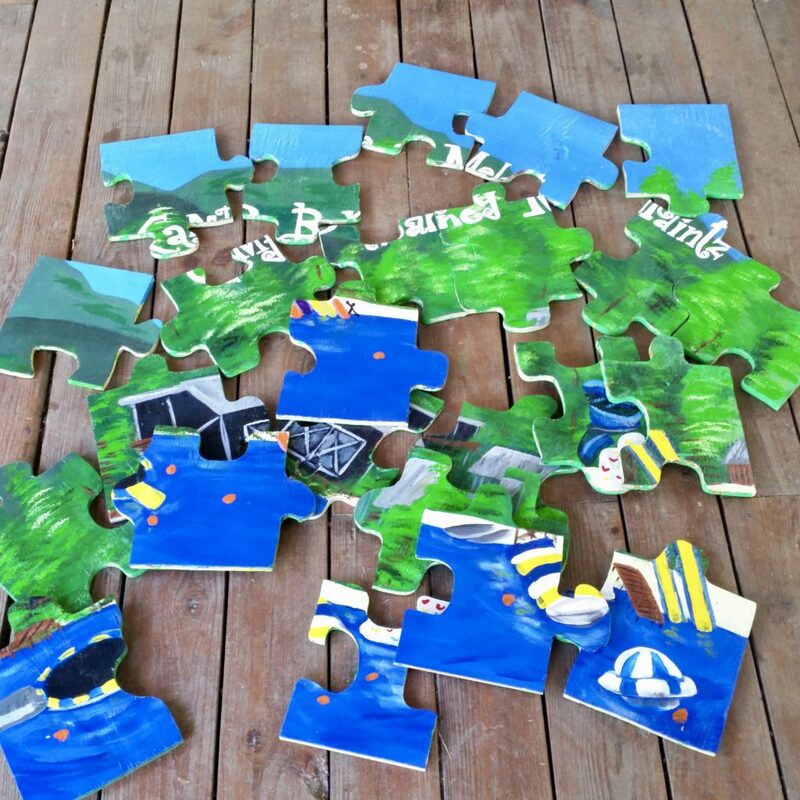 We also completed some other projects, including creating this giant puzzle of Camp Barney Medintz’s beachfront. It’s for the younger campers to play with on the Dining Hall Deck while waiting to be called in for meals.